Update: Nintendo has issued a statement to TechRadar, denying that it has any plans to put mini games on smartphones as rumors have suggested. "Nikkei's article contains information previously stated by Mr Iwata during past press conferences, including statements which relate to Nintendo's willingness to make use of smart devices to promote our products," it said. "However during such past announcements Mr Iwata has also stated that Nintendo's intention is not to make Nintendo software available on smart devices and as such, we can confirm that there are no plans to offer mini games on smartphone devices"
Mario may fall short of triple-jumping his way to smartphones and tablets, but he and other iconic Nintendo characters could dip their toes into mobile devices with game demos. The company intends to utilize Android and iOS devices to market its console games, according to Japanese business publication The Nikkei via Dr. Serkan Toto. The plans are said to include putting "mini games" on smartphones in an effort to whet peoples' appetites for the company's more robust console titles. The full console games would remain exclusive to Nintendo hardware, relegating the mini games to playable demo status, according to the report. Game demos and video previews via an official app would be a one-and-a-half jump measure that satisfies Nintendo's claims that smartphones are not the answer to its financial problems. The company slashed its sales forecast by a painful 69% this month because its Wii U console hasn't been in demand, even during the usually profitable holiday season. 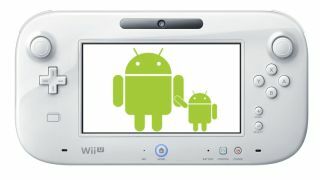 In addition to Mario on smartphone speculation, this spurred rumors that Nintendo could release a Wii U successor way ahead of schedule under its previously used Nintendo Fusion name. Meanwhile, Microsoft and Sony are busy battling it out for the No. 1 next-generation title with their more powerful Xbox One and PS4 consoles. We should know by Nintendo's reported January 30 briefing with investors whether it goes through with this half-measure to lure distracted gamers back to its isolated hardware. Whether it's enough is another question entirely. Replacing the Wii U would be madness - Nintendo needs a different kind of Fusion.